This week, we are proud to introduce one of our official partners - Academies Australasia College. AAC is part of the Academies Australasia Group in Australia. The group has 18 colleges, 17 in Australia and 1 in Singapore. The college has students from more than 20 countries, which is testament to their position as a trusted institution for quality learning globally. While AAC offers management, tourism and hospitality courses at the tertiary level, the college also caters to students at other levels with their preparatory courses (for O Levels and GPC) and English courses (such as IETLS and EFL). AAC first established their presence in Singapore back in the early nineties. Today, Academies Australasia College occupies a 6-storey building, with 5 levels of teaching facilities, housing 16 lecture / tutorial rooms, a student library, self-study / resting areas, etc. The campus is situated next to the National Library, which boasts Asia’s largest source of academic resources. Being in the heart of the city, AAC is also located in the midst of many eateries and shopping facilities, and is conveniently accessible via public transport. 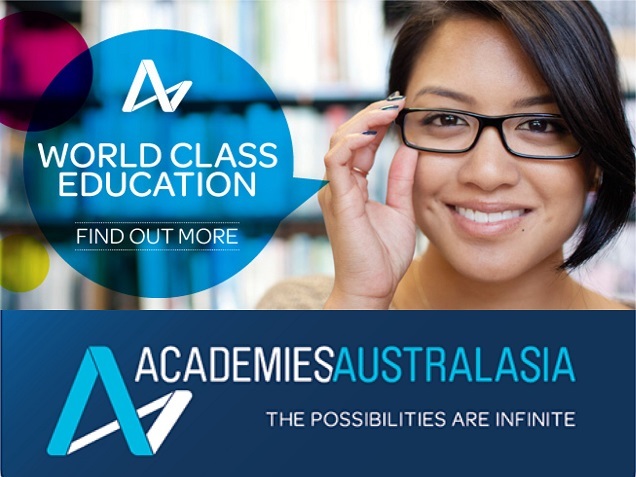 Apply for Academies Australasia College’s courses directly via SchoolBuzz, Asia’s leading direct course application platform at www.schoolbuzz.com.sg.